Single-Speed– Operating at 3’450 RPMs on a single motor, these pool pumps are the most affordable option, hence their popularity. While cheaper they do come with a cost in that your energy bill may increase unless you shut them off outside of pool usage times. 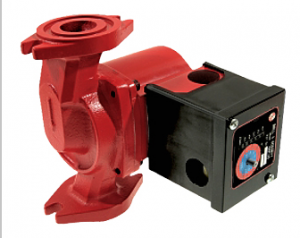 Two-Speed – This pool pump can change its speed from around 1’725RPM’s at lower speeds to 3’450 RPM’s if required. They are most commonly found in spas where changing speeds is desired due to jet action. Variable-Speed – The major draw card with these pool pumps is the energy savings they provide. Speed or flow rate can be customised by the pool owner or pool contractor which is a major winner. Filtration is also the most efficient of the pump types. These pumps will decrease your energy bill and are the most efficient – the best pool equipment installation choice by far. Cartridge Filters– These filters are commonly used on above ground swimming pools and smaller in-ground pools. They are the least expensive however they are not as effective at filtering out small particles of dirt and debris as the other two pool filter types. Cartridge pool filters must be cleaned regularly for maximum efficiency. In some instances pool water may become cloudy due to their inability to trap micro particles – a pool clarifier is generally used to coagulate the smaller particles to assist the filter and prevent this issue. Sand Filters – Sand filters are easy to clean and now the most common pool filter in use. The cleaning process involves a simple backwash that washes dirt particles out of the sand. It’s a good idea to have your pool sand filterer cleaned approximately every 7 years. Generally, these filters are a better option then cartridge filters since they are able to capture smaller dirt particles as part of the pool cleaning process. E Filters – Diatomaceous Earth (D.E) pool filters are known to be the most efficient filtration system of all. They are not as popular as sand filters since they are more expensive and a little more time consuming to operate and maintain. Diatomaceous Earth is the fossilized remains of microscopic shells and is mined for its great filtering properties. Cleaning these pool filters also involves backwashing followed by a new batch of Diatomaceous Earth. Chlorine is an essential part of the pool cleaning process and is required to help keep harmful substances such as bacteria, viruses, algae and insect larvae from inhabiting your pool. Pool Chlorine needs to be monitored regularly because large amounts can cause health issues for people swimming in a pool such as itchy skin. Automatic swimming pool chlorinators are devices that are attached to a pools filtration system. They release chlorine automatically into the water and need to be topped up regularly. Chlorinators can be set to inject chlorine at a specific desired rate and level, a pool professional is best to do this. Electric heat pumps use electricity to capture heat and move it around a pool from one place to another. They feed off the pool pumps water flow which forces water through the heat pump heater. Gas pool heaters use either natural gas or propane to produce heat. The circulated water from the pool pump passes through the pools filter and then to the heater where it is heated and returned to the main pool water. The Pool Gurus can help with any pool equipment installation or pool repairs. Pool blankets and rollers are an essential pool equipment installation that will mean less pool cleaning work is required by the owner as well as the benefit of keeping your pool water warm. There are also the added benefits of reductions in pool water evaporation and dramatic savings on pool heating, water and chemicals required to maintain the pool. There are many different types of pool covers including solar, automatic, thermal & winter. Swimming pool systems require a series of pipes and plumbing to connect all elements together such as the pool pump, pool filter and automatic chlorinator. Rigid PVC piping is the ideal choice for swimming pool pipework, pools should be plumbed with a minimum of schedule 40 PVC. Most swimming pool leaks can be found where cracks are found in the pool floor or walls. Problems with structural design can also cause leaks and are the most time consuming to repair. At The Pool Gurus we offer expert swimming pool leak detection, pool equipment installation and pool repair services. It’s a great idea to have all pool leaks repaired since they can add significantly to your home water bill.